It’s that spooky time of year again! 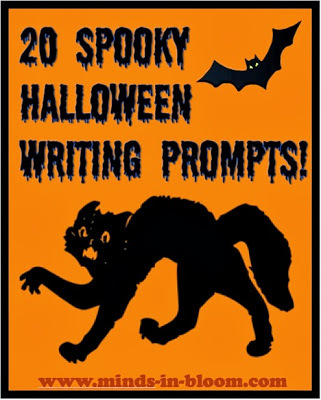 Get your kids writing (or discussing) with these creative Halloween writing prompts. What is the scariest thing that has ever happened to you? Why was it so scary? Pretend the mayor of your town wants to outlaw Halloween. Write a letter to convince him that this is not a good idea. What was the best Halloween costume you have ever had? What made it so special? Pretend you are in charge of your class Halloween party. Make a plan for what you will do. What games will you play? What food will you eat? If you could only do one, would you rather go to a Halloween party or go trick-or-treating? Why? Do you like reading scary books or going to scary movies? Why or why not? 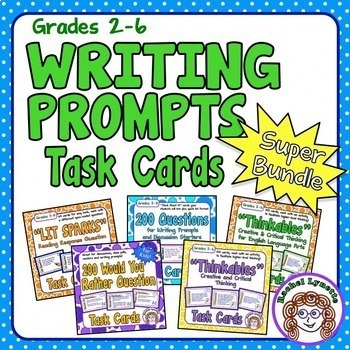 Write a Halloween acrostic poem using one of these words: Halloween, Monster, Ghost, Vampire, Zombie. Onomatopoeias are words that sound like what they mean, such as “crackle,” “squish” and “plop.” Write a Halloween story using as many onomatopoeias as you can. Create a list of safety rules for Trick-or-Treating. What is something that used to scare you but no longer does? Why was it so scary? 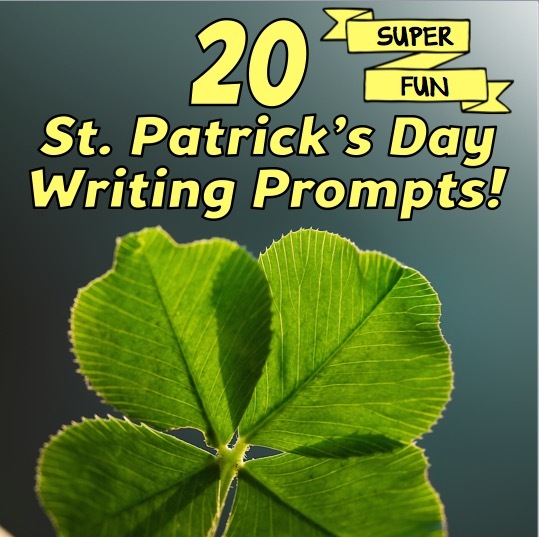 Write a story about visiting a haunted house. Which Halloween monster (ghost, vampire, werewolf, zombie, mummy, etc.) do you think is the scariest? Why? Pretend you are going to interview a vampire. 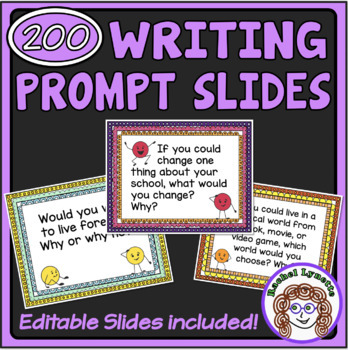 Write ten questions you would ask him or her. Bonus: Pretend you are the vampire and answer the questions. The Scream is a series of paintings by Evard Munch. Write your impressions of The Scream. How does it make you feel? What do you think the artist was trying to express? Some schools have replaced Halloween with a Harvest Festival. Do you think this is a good or a bad idea? Why? You and your friends have created a haunted house. Make a flyer to tell people about it and convince them to come and visit. Would you spend a night in a graveyard for $100? Why or why not? Personification means giving human traits, such as feelings and thoughts, to objects. Personify a Jack-O-Lantern. Write a story from a Jack-O-Lantern’s point of view.